Main drains in above ground swimming pools. Should you install one, or not. 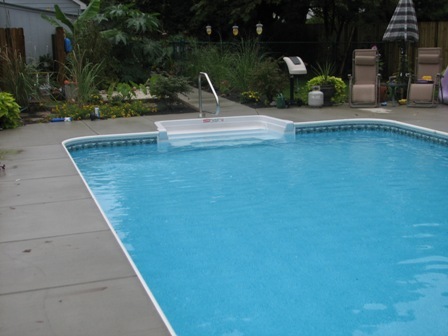 We highlyEdwards Pools of Ohio, Main Drain recommend the installation of a main drain for a couple of reasons. Water circulation, and ease of cleaning. We have discussed these aspects in additional articles. One of the big worries that people have with main drains is settling issues. We hear the stories about the drains that are sticking up a couple inches in the bottom of the pool, from improper installation. That can easily happen if the drain body and piping are not buried in the dirt and tamped in place. 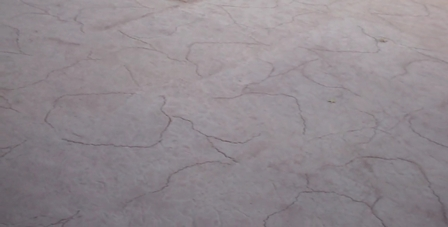 You can not use the sand that makes the base for the liner to set on, to install the drain in. If you do the sand will settle down and you will have the drain sticking up. That is what you do not want to happen. This video shows how we set the drains we install completely down in the ground. We tamp the dirt back in tight around everything so that we have no issues. 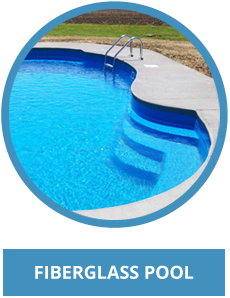 This entry was posted in Uncategorized and tagged Aboveground Pools, Edwards Pools, Pool Construction, Swimming Pool Options on April 18, 2012 by admin. Above Ground Pool Filter System!! 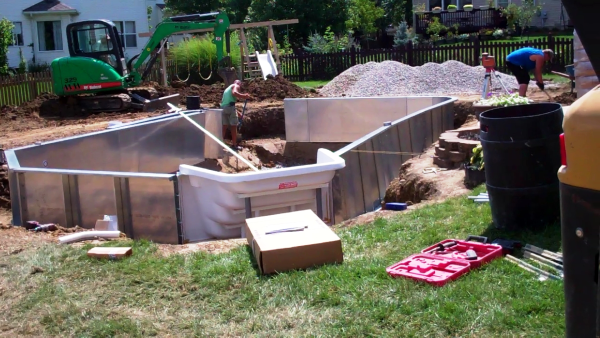 This is a video showing the pump and filter system we use on our above ground pools. We use a combo system from Hayward that is the pump and filter combined. 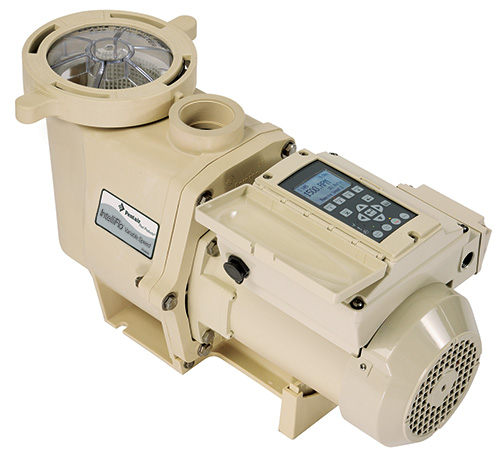 The pump is a 1 1/2 horsepower Power Flo LX pump. The filter is a 150 pound sand filter with a topmount multiport head. 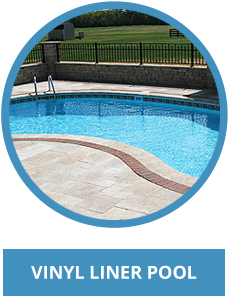 This system is one that we use on pools up to 27′ round and 15×30 ovals. If we do sell a pool bigger than that size (which we actually discourage) we bump the filter up to a 200 pound filter. You want to make sure that the filter system is sized right to be able to turn over the water volume in your pool in less than 8 hours time. I did a blog on this you can read here. Take a look at this video and you can see exactly what type of filter system that you will get when buying a pool from Edwards Pools. You can switch to a cartridge or even a DE filter if you want. In our experience though sand is the easiest way to go for the least amount of headache. You will notice the 3 way valve plumbed in the front of the pump. One side is plumbed for the main drain, with the other side pulling water from the skimmer. This is how we plumb all our systems. 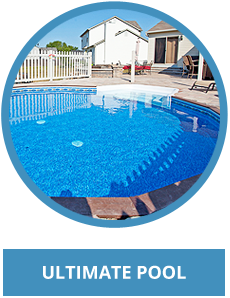 This entry was posted in Uncategorized and tagged Aboveground Pool Filter System, Aboveground Pools, Edwards Pools, Swimming Pool Options on August 2, 2011 by admin. Above Ground Pool Liners. What Are The Differences? There really can’t be that much difference in above ground pool liners, right? Well you are right. The main difference in them is the way that they hang on the pool wall. Other than that they are pretty much the same. There are differences in pattern styles you can choose from but you are talking cosmetics now and not function. 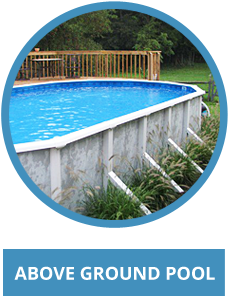 There are three different ways that above ground pool liners are made to hang on the wall. This will be the most popular, and well known style of liner. These liners simply hang over the top of the wall. 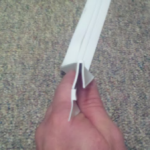 You use a plastic coping strip that pushes down over the wall and liner to hold it in place. This type of liner is the most economical way to go as far as cost goes. One complaint about this type is that you can see it on the outside of the pool wall. Yes you can and that is why I personally don’t care for them. Beaded liners are an option that is fairly well known. 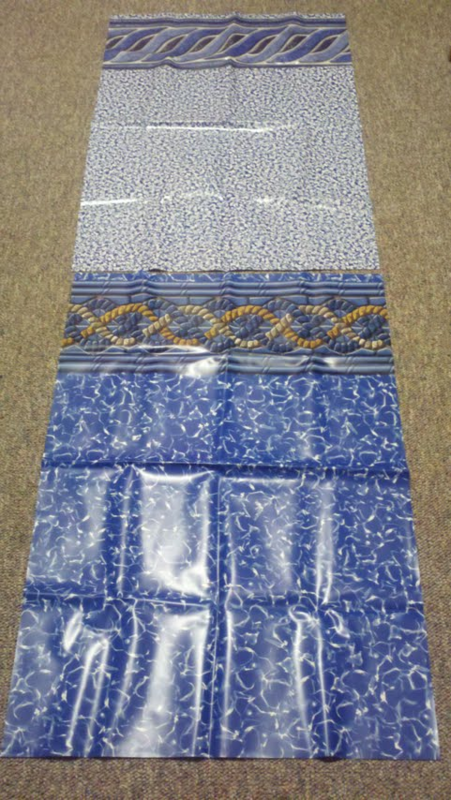 Most pool companies will sell beaded liners as an upgrade with a pool kit. These liners come with border patterns around the top, and usually a print pattern on the sides and bottom. When a beaded liner is installed you use a bead receiver. This is a track that snaps on top of the wall. It has a channel in it that the bead at the top of the liner snaps into. The downfall to this is, as your liner ages and shrinks over time it will have a tendency to pull out of the track. It then slips down the inside of the pool and can be a problem. A big thing we hear with beaded liners is, you don’t have to take the top of the pool apart to change them. 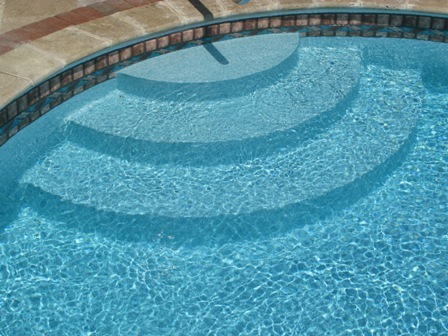 We have done hundreds of liner changes on above ground pools, and we take the top off to change a beaded liner. Most times you do not have enough room under the topseats to get the new liner snapped into the track without a struggle. Easier to just take the top of the pool apart. This style liner came on the market around 12 years ago. You have the same thing as a beaded liner except for how it hooks to the wall. Instead of using a bead receiver track, there is an upside down J on the top of the liner that hooks on the wall. The advantage to this over the beaded liner is you have no issues with the liner slipping out of the bead receiver. 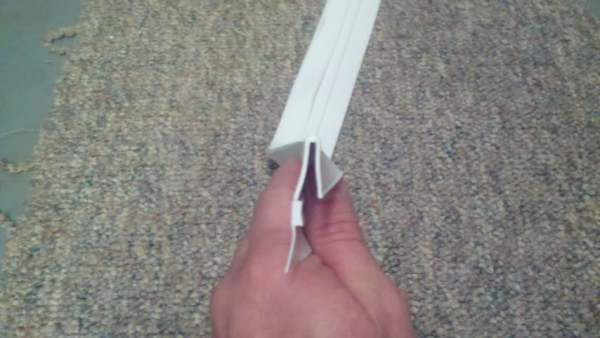 This style liner is what we install on 90 percent of above ground pools. There you have the three different options for liners on above ground pools. This entry was posted in Uncategorized and tagged Aboveground Pools, Pool Construction, Swimming Pool Options on July 12, 2011 by admin.